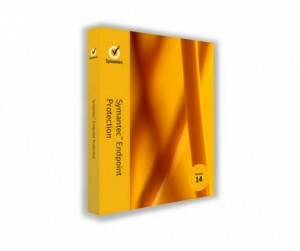 Symantec Endpoint Protection 14.1 protects networked laptops, desktops, and servers ("endpoints") against viruses, worms, Trojan horses, spyware, adware, rootkits, and threats not seen before ("zero-day attacks"). It consists of client software that runs on the endpoints and management software that runs on a server. This product is most suitable for organizations with 100 or more endpoints. If you have network administration experience, you can use Symantec Endpoint Protection to centrally manage protection for all the endpoints in your organization's network. Symantec Endpoint Protection combines several Symantec technologies, all manageable through a single console. Multilayered protection: Endpoint Protection analyzes the attributes, behavior, and reputation of potential malware files. It also provides a system firewall and prevents intrusions and exploits. Artificial intelligence and machine learning: The product deploys machine learning on both the endpoint and in the cloud and adds artificial intelligence mechanisms in the cloud. Symantec collects threat insights from over 175 million endpoints and 57 million attack sensors. Turnable security: Administrators can tune the level of detection and blocking to optimize protection and gain enhanced visibility into suspicious files. They can do this through a cloud console that integrates with the on-premises SEP manager. Small footprint: Cloud lookup capabilities reduce bandwidth usage and the size of definition files 70 percent over the previous generation. Learn more about Symantec Endpoint Protection 14.1. This product includes 12 months of support. You are entitled to update to the latest version of the product, including regular definition updates. You may renew your subscription by requesting another product through TechSoup each year before the subscription expires. The administrative fee for this downloaded product is not refundable. If you determine that your network requires a central location for all quarantined files, you can install the Quarantine Server and the Quarantine Console. See their system requirements on the Symantec Web site.